Doctoral students can subscribe to an email list. Unsubscribe the email list here. The e-mail address you provide will only be used to send announcements regarding CGDE courses and events. A transfer to third parties is excluded. You can object to the use of your e-mail address at any time and unsubscribe from the CGDE mailing list. The collection of data is voluntary, the legal basis is Art. 6 paragraph 1 a DSGVO. 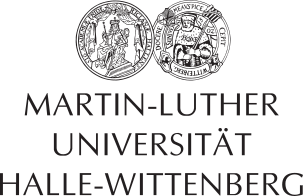 All further information resulting from the data protection of the CGDE site can be found in the privacy statement of Leipzig University. Some useful information about the preparation of the courses can be found here. Please state in your registration if you are willing to take an exam in the course. In case of more than 20 registrations, preference will be given to doctoral students with exam requirements. Some PhD students require a graded certificate, while some others require an ungraded certificate. This depends on your local dissertation regulations. Therefore, PhD students are kindly requested to indicate whether they require a graded or an ungraded certificate on the list of participants, which will be circulated at the beginning of each course. For organisational requests concerning the CGDE, please contact Annett Hartung. For further information, please contact Thomas Krause. The privacy statement of Leipzig University applies to the CGDE website.